Blood cells captured with darkfield microscopy. 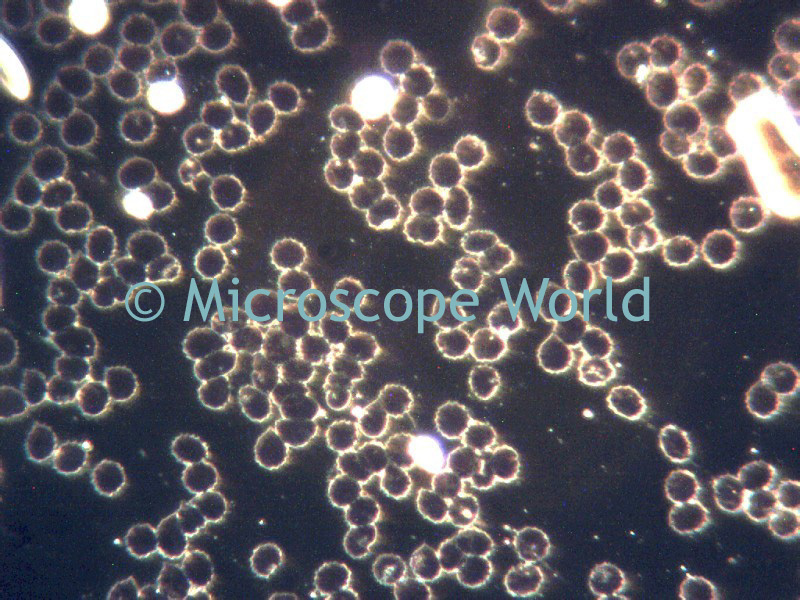 The image above is of live blood cells captured with a 3 megapixel microscope camera on a lab biological microscope using the darkfield slider. When looking at live blood cells typically both darkfield microscopy and phase contrast microscopy are utilized.